One of the longest serving councillors in the Western Isles has tendered his resignation for what is understood to be health reasons. 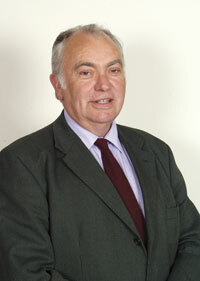 Archie Campbell from North Uist, a former teacher, was first elected to Comhairle nan Eilean Siar in 1999 and served as chair of the sustainable development committee from 2003 to 2014. Mr Campbell said: “It has been a great privilege and a wonderful experience to serve the local community as an elected member of Comhairle nan Eilean Siar over these 15 years. Comhairle convener Norman A MacDonald commented: “Archie enjoyed a long career as a teacher, starting at Paible school in 1967 before moving to Iochdar and then to Lionacleit in 1988 where he served as the Principal Teacher of Guidance. He retired in 1997 and is a Fellow of the Educational Institute of Scotland. He added: “Archie will be remembered during his time as a councillor as someone who would weigh up the arguments of a particular discussion, reach a decision and stick with that decision.